DETROIT - The Detroit Waza Flo professional soccer team is starting this inaugural season in the new Major Arena Soccer League by making sure they have a stellar coaching staff to lead them. The organization made an impressive move by signing Mirco Gubellini as an assistant coach for the 2014-2015 MASL season. He previously played professional soccer in Italy from 1998 until 2004. Gubellini has experience coaching internationally, too. Follow @KellyHaapala on Twitter for the latest college soccer news. "It's big. I don't think any other teams can say they have the coaching that we do here in Detroit," said Waza Flo owner Dominic Scicluna. Gubellini has been working with the Waza youth teams and now will get a taste of the professional arena action. 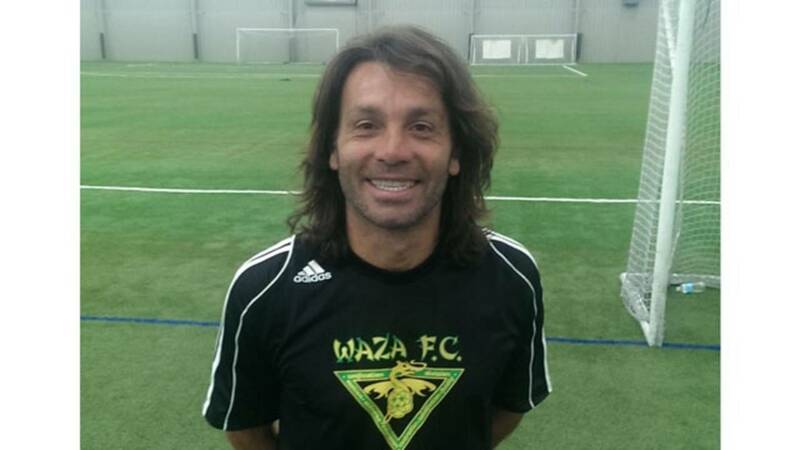 "I am very excited about this opportunity to be a part of the Detroit Waza Flo," said Gubellini. "The level of skill, intensity, and competitiveness that these players possess is impressive and is what I was accustomed to seeing while I was the assistant coach at Triestina Serie B. I believe that some of the players on this team have the talent necessary to play at the highest levels in Italy and I hope that I can help this team improve to reach the highest level of this league. It was a pleasure helping Decu and Dominic coach these guys." Newly appointed head coach Costeau Decu expressed his thoughts on the decision to add Gubellini to their staff. "He's a good friend of mine and has the soccer knowledge and experience to help this team out. We are a talented team and Gubellini's style will help show that," said Decu. The new season is drawing near. The first time Detroit will be able to witness this new league and the new additions to Waza Flo will be on Saturday, Nov. 1 when they take on the Harrisburg Heat at 7:05 p.m. at Melvindale Civic Arena (4300 S Dearborn St, Melvindale, MI 48122). Ticket prices are $12 for adults and $8 for children ages 3-12. Tickets can be purchased online here. Copyright 2014 by ClickOnDetroit.com. All rights reserved. This material may not be published, broadcast, rewritten or redistributed.